Batch is the fastest platform for all your mobile and web engagement needs. 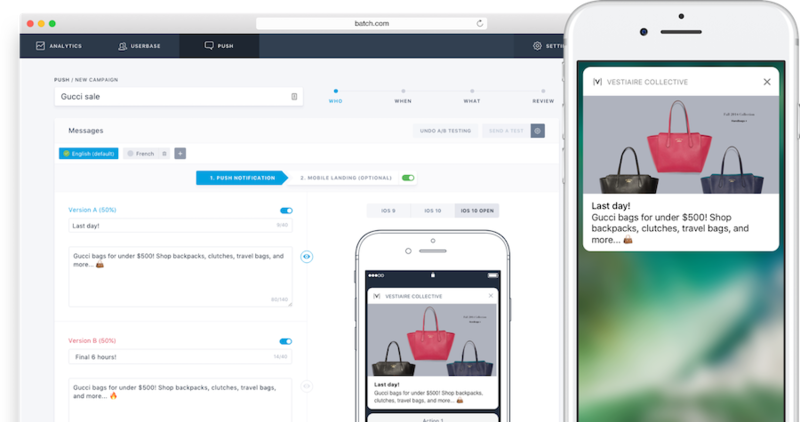 From implementing basic transactional push notifications to a fully fledged marketing automation platform — we’ve got it all. Communicate better with your customers through the native channels your customers are most responsive to: Push notifications & In-App messages. The Batch dashboard receives UI / UX improvements on a weekly basis—we want it to be one of the slickest web consoles you’ll ever experience. Batch got started in late 2013. At the time only a handful of apps were using our SDK—far from the 5,000+ apps and 100M+ MAUs we see today. We first focused on an infrastructure offering. That’s why today our Apache/Cassandra-based push senders are probably the fastest on the market. On these strong foundations, we evolved our product into a mobile marketing automation platform from 2014 onwards. We now serve five key verticals of customers: retailers, brands, medias, start-ups and agencies. That sounds great, what’s inside? This is the very first reason our users chose Batch. You can use Batch to send rich notifications using images, videos, GIFs or sounds on iOS, Android or Windows. We offer free push notifications, and premium plans for when you need better services such as a higher send rate, API access and advanced targeting options. We currently process and send millions of notifications each days, and have the backend to handle entire mobile conglomerates eager to retain their users. 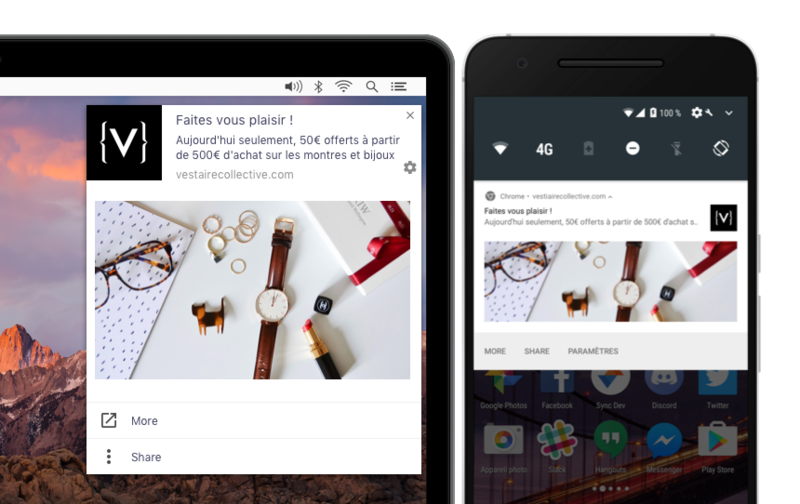 Batch supports sending push notifications directly to web browsers, on desktop or mobile. They allow you to re-engage your users, even if your website is closed. Did we tell you that Android also supports them? After a 20 minute setup, you will be able to push them directly from your website, without making them install your app. And just like native applications, web push notifications can have rich content. In-App messages allow you to trigger messages when users open your app, perform a specific action or as landing pages after opening a push notification. This is great to communicate with users who have turned off push notifications or to show contextual messages while your users are browsing your app (e.g. special offers, update reminder, etc). We have been working on formats that neatly fit your app design, bring the same experience to all your users and allow you to interact better with them. 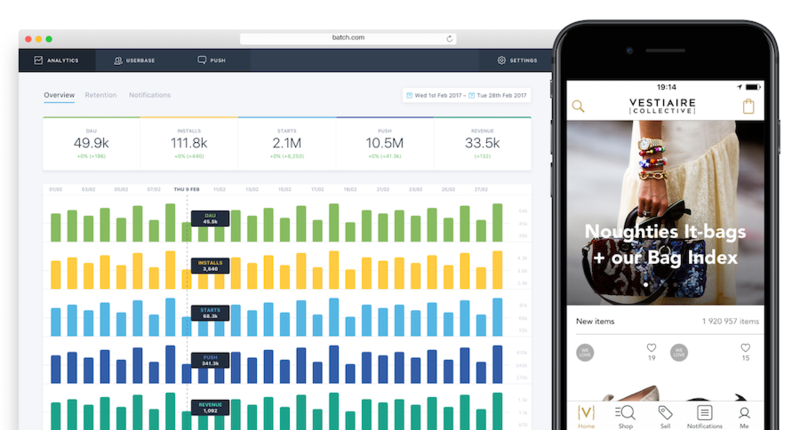 Analytics is the cornerstone of Batch, giving real time insights into your user-base and fueling the other modules thanks to the smart segments. You can then target those smart segments (e.g. one time users, dormant users) when setting up push notification campaigns, and adjust your message for each segment. It’s time to begin integration. Here’s how to get up and running at the speed of light. The first step is to integrate the SDK and to set up the Push. 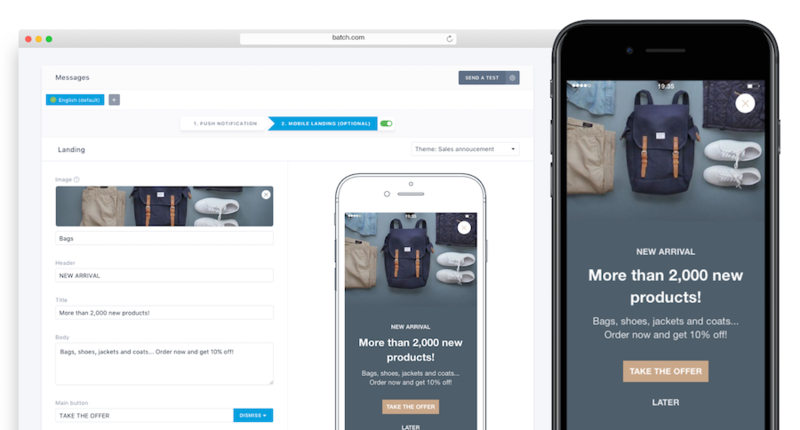 Then, you can add support for Mobile Landings if you want to create advanced push campaigns. The overall integration takes roughly 20 minutes. If you have any questions during the process, just ping us at support@batch.com or via the in-page chat (question box in the lower right of your dashboard). Enjoy, and thanks for using Batch!